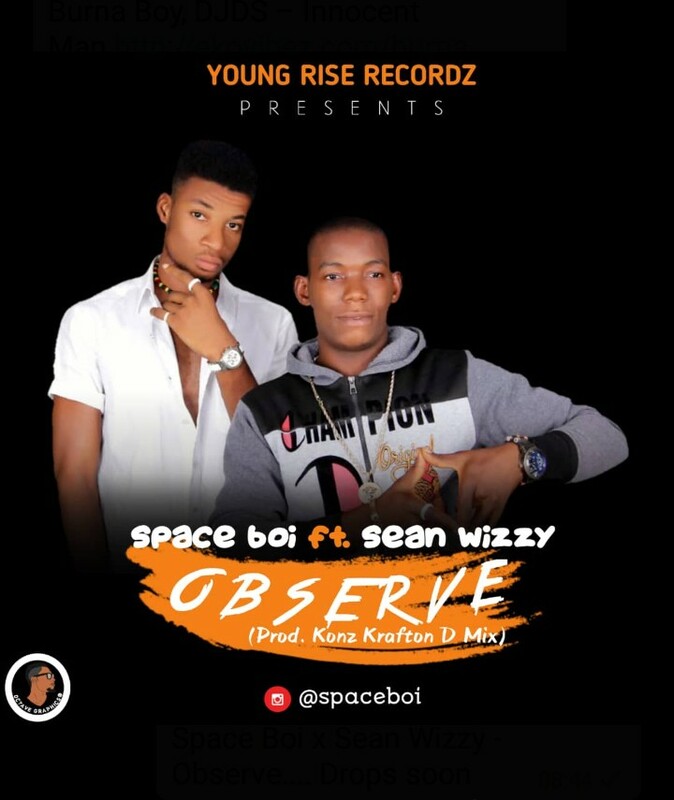 Young Rise Recordz boss, Space Boi, unleashed his new banger for the year dubbed Observe and this amazing tune was produced by Konz Krafton D Mix. He teams up with a sensational singer Sean Wizzy and they delivered as expected. Go ahead Download and share your comments below!! !